Coming off of a historical two-day stretch featuring back-to-back no-hitters by the Hillcats, Lynchburg did not fare as well against the Myrtle Beach Pelicans, falling by an 8-3 score upon their return to City Stadium Saturday night. Jose Martinez hit his first home run as a Hillcat in the first inning, and David Nick added a solo home run to lead off the sixth inning. However, Myrtle Beach hit two home runs of its own. Jorge Alfaro hit a two-run blast in the first inning to give the Pelicans a quick 2-0 advantage, while Chris Grayson hit a solo homer to lead off the fifth. 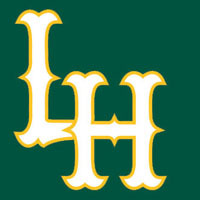 With the score 2-1 entering the fourth inning, the Hillcats (40-39) tied the game briefly when Kevin Ahrens hit a one-out double, and Emerson Landoni drove him in on an RBI single. For Ahrens, it marked his 22nd double of the year, which is tied with teammate Will Skinner for the Carolina League lead. Landoni’s base hit gave him his ninth RBI in seven games with the squad. However, Myrtle Beach (50-27) broke the tie in the fifth inning on Grayson’s home run. Hanser Alberto walked later in the frame and scored on a throwing error by Daniel Watts. Preston Beck capped off the scoring with an RBI double to plate Nick Williams. Daniel Watts (0-1) took the loss after allowing five runs, three of which were earned, in five innings. The lefty struck out three while walking one and surrendering six hits. Luis Parra (6-4) also went five innings and held Lynchburg to two runs on three hits. Parra struck out six and walked one. The Pelicans added three more runs in the eighth inning. Nick Vickerson hit a single, Grayson walked, and Chris Garia singled to begin the frame. All three players scored to give Myrtle Beach an 8-3 victory. Lynchburg will try to even the series Sunday evening at 6:05pm when Jarett Miller (3-6, 4.23) opposes lefty Chad Bell (2-0, 1.69) on the mound. Gates open at 5pm. The game will be broadcast on 97.9 The Planet, beginning with the Hillcats On-Deck Show presented by Amtrak Virginia. Erik Wilson and Kyle West will have the call.